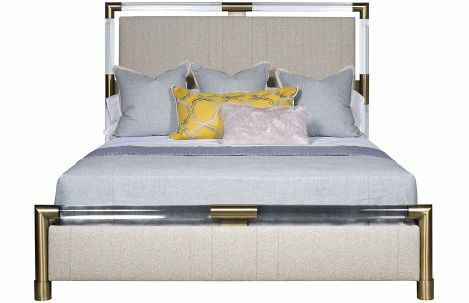 Custom upholstered king bed. Acrylic frame with satin brass metal accents. Available in fabric, leather, COM or COL.